JAM Paper® Solid Wrapping Paper Rolls are the perfect gift wrap for all your gift giving occasions. 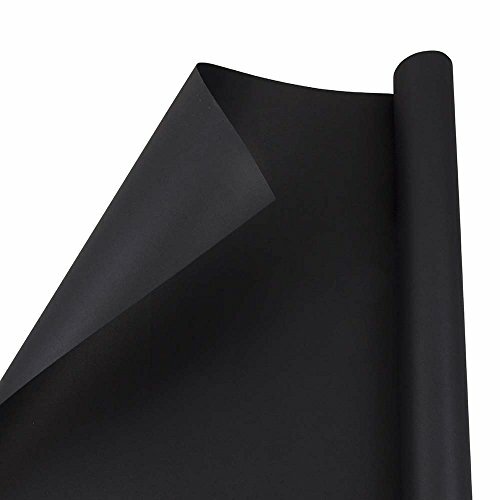 Measuring 25 square feet, this wrapping paper is made from smooth, paper and has a matte finish. Perfect wrapping paper to use for the holidays, birthdays, weddings, baby showers, bridal showers and any other gift giving occasion. Colors available: Black, Red, Cobalt Blue, Silver Foil, Gold Foil, and Chocolate Brown. This wrapping paper is fashioned from high quality paper, has a smooth matte textured finish, and packaged in protective cellophane. This Wrapping Paper is perfect for adding a splash of color to all your gifts! Great for Birthdays, Holidays, Parties, Events, and any of your other gifting needs!